One of the things I want to ensure for this project is that I have done every bit of the designing for the entire book. 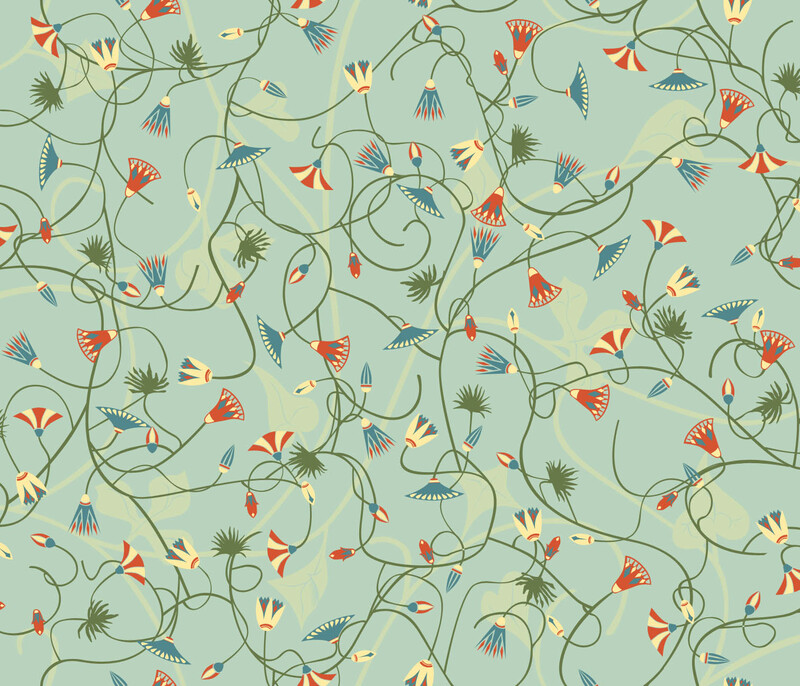 For that reason I've chosen to make my own fabric pattern, and have it printed at Spoonflower. It's a great site where I can order custom made fabric. I have a few designs for sale there already. This design is only going to be for me, and only for this project. 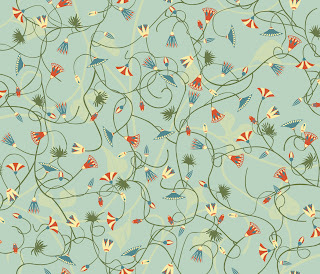 I'm going to order it in the cotton-silk blend, for that extra bit of luxury, and then make it into bookcloth. I'm going to do the spine in leather. The final design is of different papyrus flowers, buds, and leaves on a light background. I think it works really well. The only thing I have to decided now is what scale I want it on. 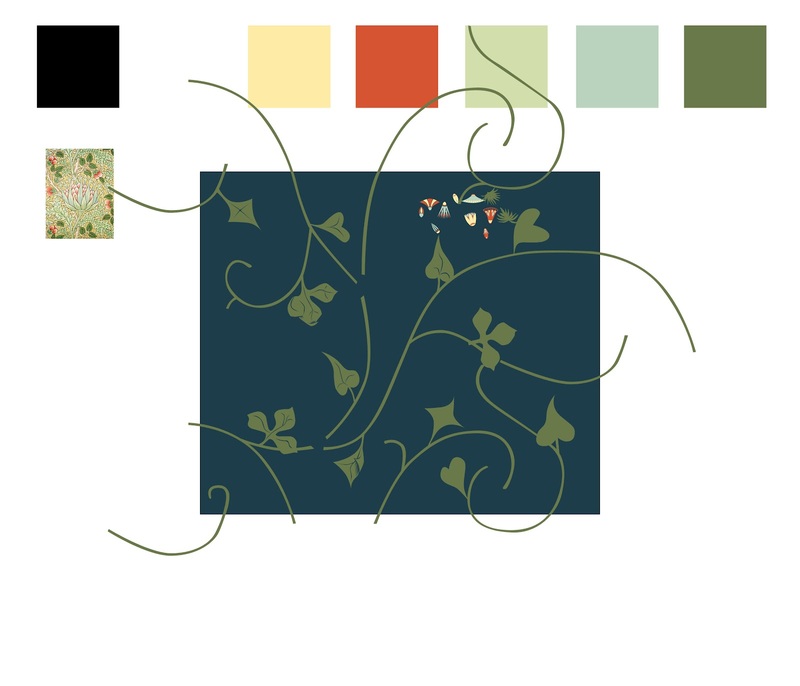 I made it in vectors, so I can make the flowers and big or small as I want without losing any detail. Then I can order a test swatch and see what it looks like in real life!